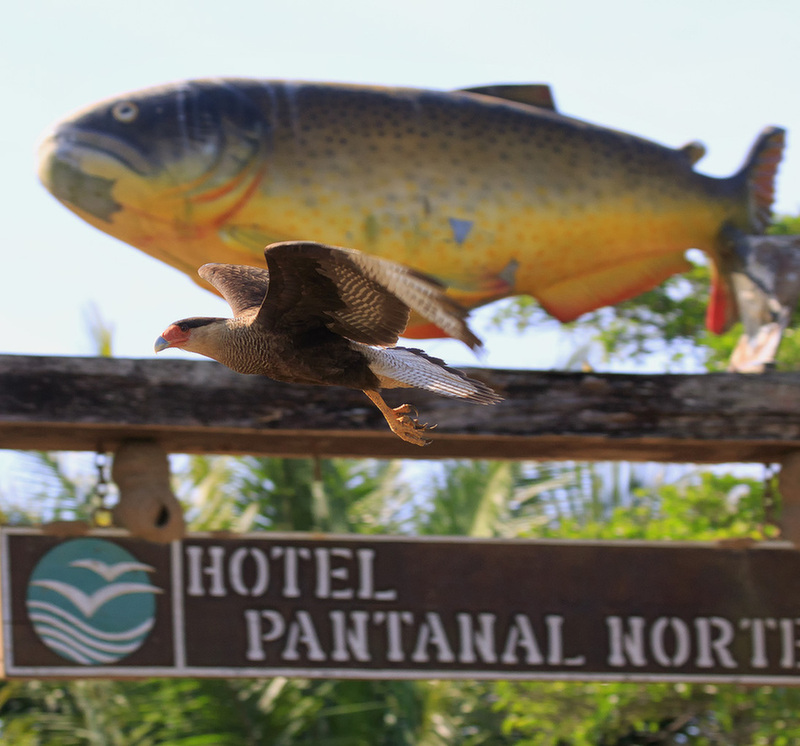 While staying at the Hotel Pantanal in Brazil, we had the local fish "Pacu" just about every night with rice and beans - delish. I thought that this photo pretty much showed the details of the trip. The Caracara won the race by a beak at the finish line. Very amusing! I guess the Caracara wasn't interested in a big fish "catch".